The state of Tennessee is home to over fifty beautiful state parks and an abundance of scenic Appalachian terrain that is perfect for trail riding. 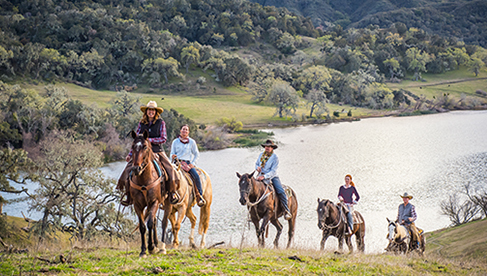 Many of the state parks offer public equestrian trails and even guided trail horse rentals for visitors to enjoy. Here is a brief roundup of three of Tennessee's best state parks for trail riding. A couple enjoys a day on the trails at Panther Creek State Park. Photo courtesy Samuel J. Chadwell. Located in the Holston River Valley near Morristown, TN, Panther Creek State Park is home to 1400 acres of Appalachian forest which covers over 30 miles of terrain. The park is known for its numerous hiking trails with incredible views of both Cherokee Lake and the Cumberland Mountains. One of the most popular trails is Point Lookout Trail, which reaches over 1400 feet above sea level and offers exceptional views of the park. Panther Creek State Park invites equestrians to enjoy over seven miles of horseback riding trails through the valley. The trails offer excellent views of the plain, as well as opportunities to admire the local flora and fauna. 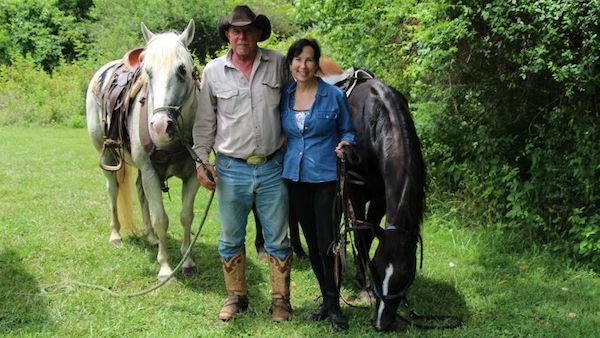 There are two main equestrian trails to choose from, Hunt Knob Trail and Panther Creek State Park. At 3.8 miles long, Hunt Knob Trail is the longest equestrian trail in the park. It follows the perimeter of Cherokee Lake and ascends onto Hunt Knob Ridge. This trail offers equestrians some variety in the terrain, as it ranges from more simple, gently sloping sections along the lakeshore, to more strenuous, hilly sections closer to Hunt Knob Ridge. This trail is only accessible from the horse trailer parking area and is accessed by a 1.6-mile connecting trail, making the total trip a distance of 5.4 miles. Maple Arch Trail is a 3.2-mile loop equestrian trail. Named for the unique tendency of red and silver maple trees to form arches through the trail corridor, this scenic trail is moderately difficult, featuring short, steep hills and one significantly steep ascent. The majority of the trail follows the shoreline of Cherokee Lake, but the trail eventually makes a sharp ascent to River Ridge. This trail is also only accessible from the equestrian parking area. Visitors can access the trail via the 2.6-mile connecting trail, for a total trip distance of 5.8 miles. In addition to horseback riding, visitors of Panther Creek State Park can also enjoy a wide variety of outdoor activities, including biking, hiking, fishing, a swimming pool, a disc golf course, and more! With over 15 miles of biking trails, as well as 17 different hiking trails, there is plenty for park guests to explore. The park also hosts numerous organized hikes and interpretive programs. Daytime visitors can look forward to seeing an abundance of wildlife, including white-tailed deer, groundhogs, beavers, and a variety of songbirds. Lucky visitors might even spot an American Bald Eagle or many other birds of prey. The park offers overnight guests a nice selection of camping options, with over 50 campsites that include water, electrical hookups, grills, picnic tables, and bathhouses. There is even a laundromat available, as well as separate trailer parking for guests with horses. However, the park does not offer overnight equestrian campsites and the equestrian trails are intended for daytime use only. There is no entrance fee for usage of the horse trails. 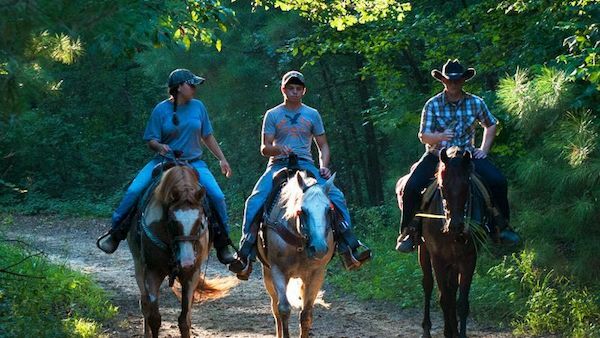 A group heads out on a guided trail ride at Chickasaw State Park. Photo courtesy Ronald L. Elder. Chickasaw State Park is located in Henderson, Tennessee. Named after the indigenous people that originally inhabited West Tennessee and North Mississippi, this 1400 acre area was established in 1955. Since becoming a state park, it has become a popular place for families and friends to visit together and enjoy the outdoors. The park offers more than seven miles of hiking and biking trails and is a great place for leisurely horseback riding. Lake Placid lies within the boundaries of the park, and visitors are able to swim and rent rowboats and paddle boats for afternoon activities. Guests can enjoy playgrounds, a golf course, as well as numerous summer youth programs featuring nature classes, arts and crafts programs, games, and more. The park encourages visitors to bring their horses and enjoy their equestrian trails. Guests of the park without their own horse rent a horse and take a one hour guided trail ride with the park stables. Visiting guests with horses are welcome to join in on the group ride with the park stables. All that the park asks is that horses not be ridden on the paved roads. There is no entrance fee for the day use of the park and its trails, and a separate parking area is available to horse trailers. Chickasaw State Park also offers a variety of camping accommodations for visitors looking to overnight in the park, including cabins that sleep up to six people, over fifty RV spots complete with full hookups, and dozens of primitive camping sites. 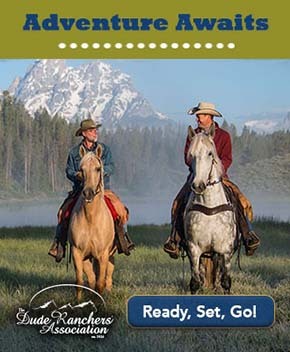 There is even a wrangler campground specifically for equestrian campers that are staying overnight with their horses. Located near the park stables, these campgrounds include 32 sites with full hook-ups, picnic tables, grills, fire-pits, and bathhouses. The wrangler campsites are available for $24.00 per night, with an additional $7.00 per night for a stall in the park stables. 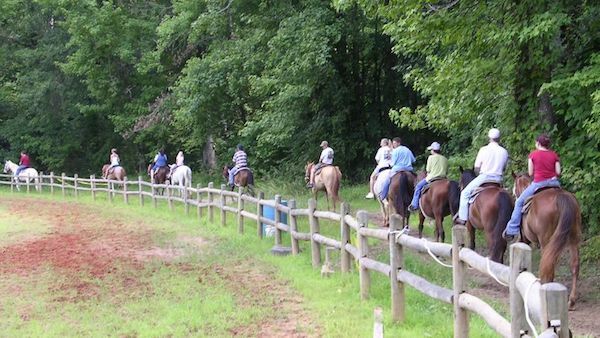 Guests enjoy a trail ride at Natchez Trace State Park. Photo courtesy Kelsie Singleton. Located in Wildersville, Tennessee, Natchez Trace State Park is named for the Old Natchez Trace, an ancient woodland highway that runs through Alabama, Tennessee, and Mississippi. The Old Natchez Trace was an important wilderness path used by wildlife, indigenous people, and early settlers. The park features numerous hiking trails that run through a beautiful forest. The park is also home to four different lakes that are perfect for water activities. Visitors of Natchez Trace State Park can enjoy boating, fishing, water skiing, and swimming in one of the four accessible lakes. The park also features its own museum dedicated to the history of the Natchez Trace path and the park. For visitors looking for adventure, Natchez Trace Park has trails ranging from half a mile up to 4.5 miles in distance, and even 40 miles long overnight hiking trail. About the Author: Madeleine Davis is a college student at Texas A&M University, studying Animal Science and pursuing an Equine Certificate. Having ridden and competed Arabians since the age of seven, she has a passion for the Arabian horse, and enjoys writing about her experiences and knowledge of the industry.